National Battery Day is a date when organizations observe the importance of batteries and create awareness around how they make lives easier by providing convenient, portable power. The day commemorates the birth in 1745 of Italian physicist and pioneer, Alessandro Volta, who invented the battery. Call2Recycle recently announced a record-breaking 12.6-million pounds (5.7-million kilograms) of batteries collected in 2015. This major environmental achievement marks the 19th consecutive year the organization has generated a year-over-year increase (since collections began in 1996) in the volume of batteries diverted from landfills and recycled. Call2Recycle ensures that these items, which contain valuable resources, are responsibly recycled to create new batteries and other products, preventing potentially hazardous materials from entering the waste stream. The organization partners with a vast network of collection partners, including retailers, businesses and municipalities to collect batteries and cellphones. Call2Recycle also works to educate consumers about the importance of battery recycling and the ease of doing so by finding a drop-off location in the network. Over 87% percent of both U.S. and Canadian residents live within 10 miles (15 kilometers) of one of Call2Recycle’s drop-off locations. In the U.S., Call2Recycle enlisted the help of national retailers to further distribute campaign messages. Best Buy, Lowe’s, The Home Depot, RadioShack, Sears and Staples are among the campaign partners that have lent their support to help raise awareness of battery recycling through their internal and external communication platforms next month. 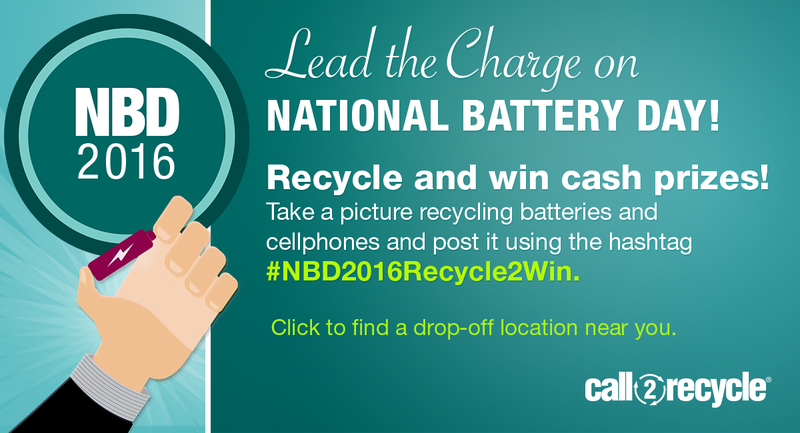 Throughout February, Call2Recycle will invite consumers to join the “Lead the Charge” sweepstakes, and to recycle their batteries at a Call2Recycle drop-off site in the U.S. and Canada. 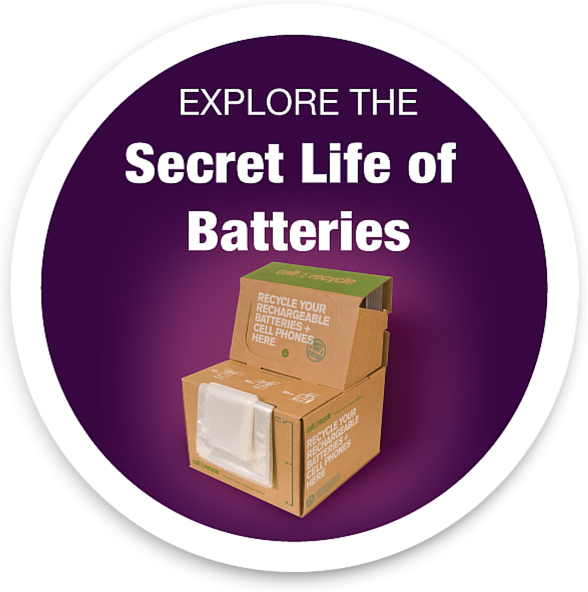 The organization hopes the innovative campaign will expand consumer awareness and create excitement about battery recycling. Call2Recycle’s collection sites will accept all types of household rechargeable batteries (weighing up to 11 lbs each) commonly found in laptops, digital cameras, game consoles, MP3 players, tablets and phones. Consumers are encouraged to visit call2recycle.org to find a drop-off location near them.